Magento 2 Catalog Permission module allows limiting access to specific categories, products and static pages/ blocks by customer groups. This supports stores owners with business strategies and brings better shopping experience to customers. With the products whose prices are good or discounted, the store owner would like to give the priority to only wholesalers. Therefore, only the wholesalers can see and access the information about these products and make purchases. This works as a way for a store owner to express the appreciation and maintain the relationship with the loyal and important customer groups. Visibility restriction will support store owners to target specific products to relevant customer groups effectively. Customers will only see, focus and make purchases within allowed categories, products. As a result, the sales for these products will be increased by the purchases of the targeted customer groups. The catalog restriction allows store owners to set visibility to suit the business situation and shopping seasons. For example, when the stock quantity of a product is small, these products will be visible to only important customer groups. Besides, in peak season, when the demand for some products is high, guest visitors who have not customer accounts at the store are not allowed to see these products. Some pages including special information such as Return and Refund policy, Commission Policy can be set to be visible to only special customers such as VIP, wholesalers. Customers can view appropriate categories, product or page information when they go shopping on the store site. Hence, they can focus better and avoid being distracted and confused by a number of irrelevant factors. With the customers who are long-time wholesalers or important purchasers with a store, they will feel happy and satisfied when they are given the priority to access special products in specific cases such as discount periods, peak seasons and more. Last but not least, when customers can access relevant information, make the purchase quickly and save a lot of time or gain special priority, they will get better shopping experience and would like to come back to the store next times. As one of the typical features, Magento 2 Catalog Permissions helps stores divide category visibility between different customer groups. For instance, watches is a high-end and limited category, so the store owner would like to show it to only special groups. The categories can be visible or hidden to specific groups such as wholesalers, retailers or any other client segments. The configuration is very easy with clicking and selecting actions and the restriction will be set properly. 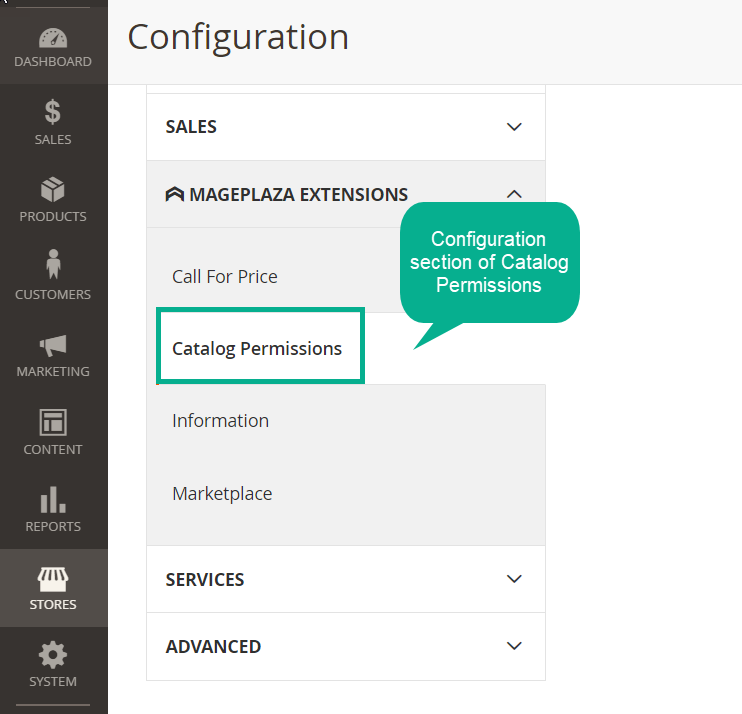 Besides restricting customer groups to access specific categories, Mageplaza Catalog Permission also supports to set visibility to individual products. In details, with a product, the store owners can select customer groups who are not allowed to view the product information. In other words, the product will be hidden to specific clients, because of product features, other purposes or in some special cases. 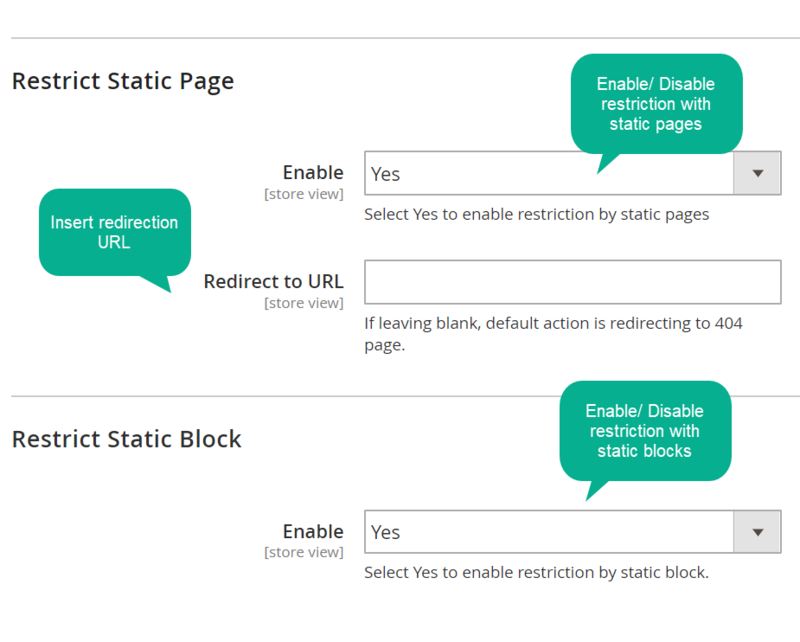 CMS pages and CMS blocks are also supported with customer group restriction function. For example, with the sensitive content such as Return & Refund Policy, Commission Policy, etc, store owners would like to restrict access to guest visitors or even retailers and only allow wholesalers to access. The restriction can be set for each CMS page or block, so depending on particular purposes, store owners can give access permissions to customer groups suitably. URL Direction will keep restricted customers remaining shopping time on the store site or simply help them get notified of catalog permission clearly. Store owners can set the time in which the restriction is valid. This feature is helpful when stores would like to limit access in specific cases such as special holiday, peak seasons. For example, in the peak season and when the product quantity is not large, the store only shows the products to logged-in customers. filter_drama What can catalog permission apply to? 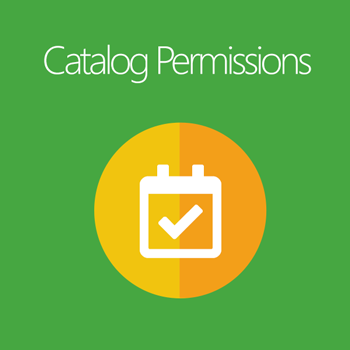 Catalog Permissions extension allows restrict access to product categories, individual products, and static pages and blocks. 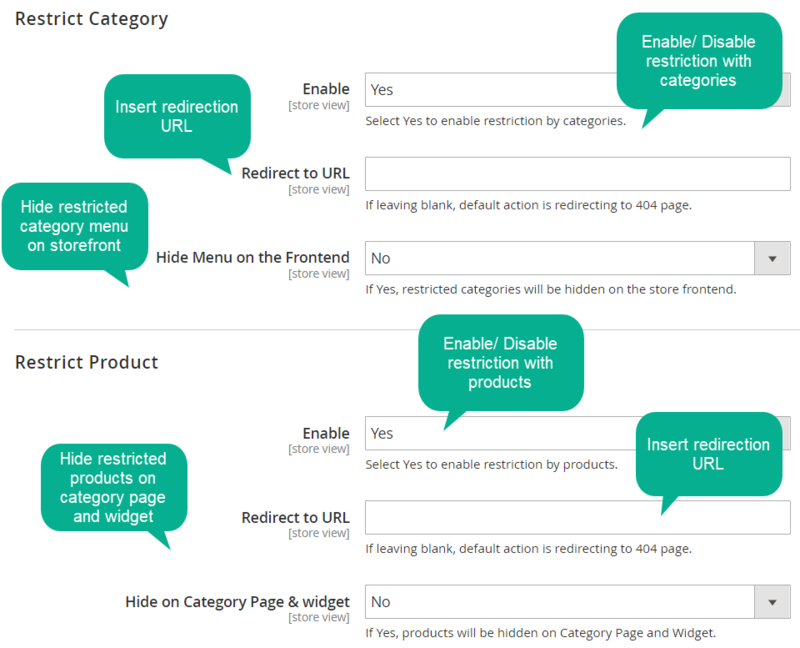 filter_drama When customers click on a restrict page or product, can they be redirected to another page? Yes, from the admin backend, you just need to fill in the forwarding URL which will redirect restricted customers. The default page is 404.
filter_drama How many customer groups can be restricted? There is no limitation to the number of customer groups. All the current customer groups your store are having will appear in the configuration section and you can select as many as you want. filter_drama I am a store owner. I would like to restrict the retailer group but exclude only some special ones? How can I do? 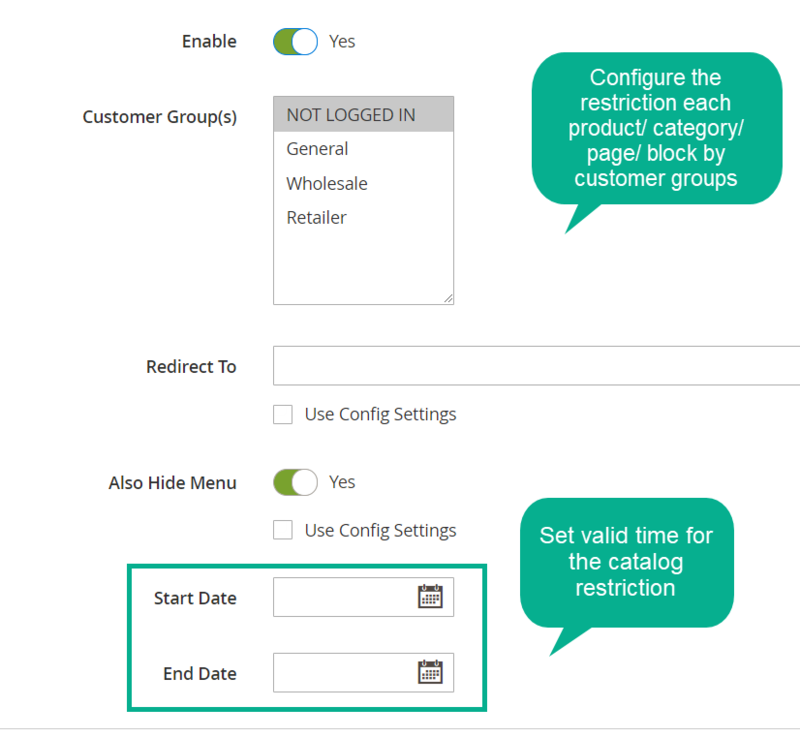 Magento 2 Catalog Permissions extension support function as Disable all restriction for IP(s) or IP range(s), so you can exclude some customers from restricted customer groups.